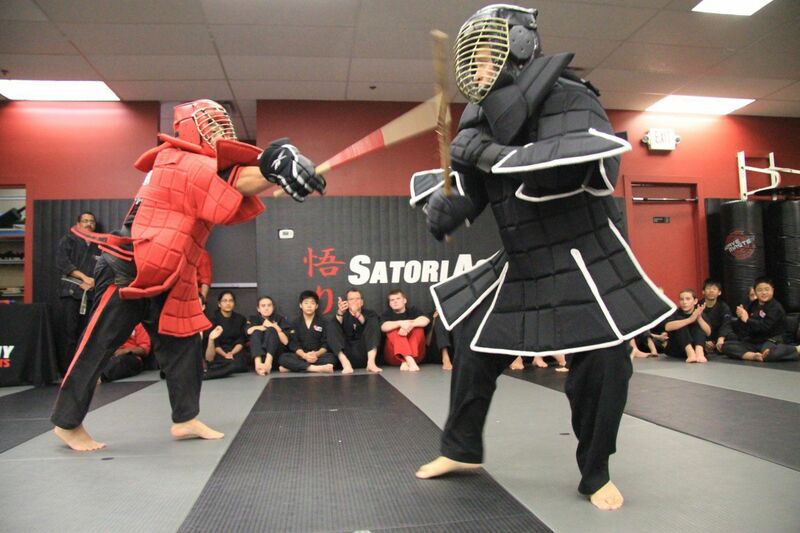 DOCE PARES ESKRIMA, IS A FILIPINO MARTIAL ART THAT FOCUSES PRIMARILY ON STICK FIGHTING BUT ALSO INCORPORATES OTHER WEAPONS AND EMPTY-HAND COMBAT. Weapons training at its finest! You’ll gain an advantage against a bigger stronger opponent. Our multi-style system arms you with stick and knife techniques that could save your life. This training is fast, it's fun and it develops blazing hand speed, coordination and focus. Tracing its roots to 1521, Doce Pares was founded in 1932 in Cebu City, the second largest city in the Philippines. The most renowned eskrimadors, founded Doce Pares as a society to promote the only original native martial art of the Philippines. The name Doce Pares means “Twelve Pairs” or “twelve equals”. Surpreme Grand Master Dionisio “Diony” Cañete and Grandmaster Arnulfo "Dong" Cuesta, who belong to the second generation of eskrimadors teach the Doce Pares Multistyle System. Satori Academy’s Walzog received her 1st Degree Black Belt in The Philippines from SGM Cañete in 2011 and has won Doce Pares World titles in forms and stick fighting.